It’s been some time that I could devote time to my blog and that’s because myself and my entire team was in neck deep work revamping the Role Based View configurator in Dynamics CRM. Complete management from within Microsoft Dynamics Application. No need to separately launch a windows application and connect to your environment to configure Role Based Views. Improved UI with features like Searching, sorting, paging and cloning for both the Role configurations and user configurations. 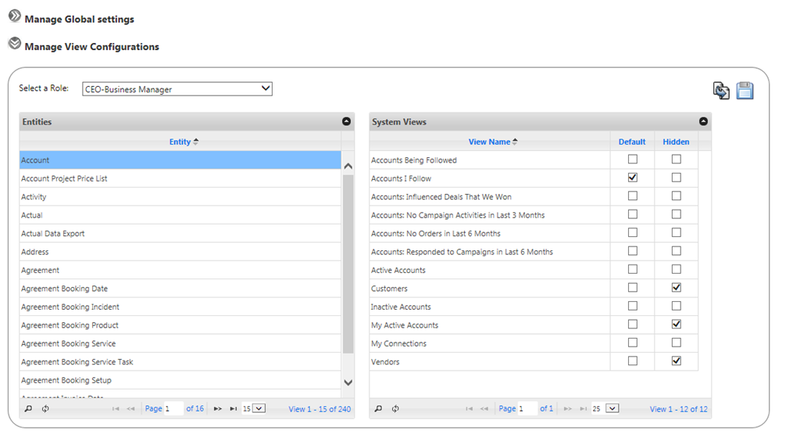 Ability to show/ hide views of entity as cumulative or intersection of the configurations. 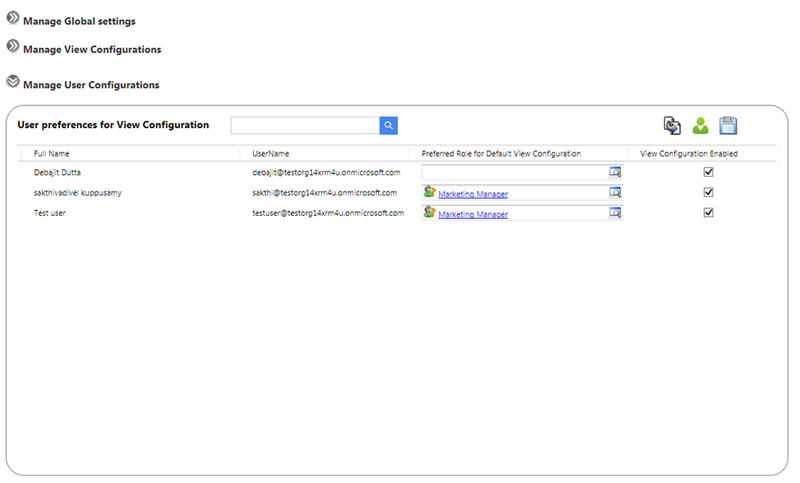 Comes with utility to migrate your configurations across environment. Want a quick demo/ looking for trail/ pricing information – write to – info@xrmforyou.com. Our highly experienced team would get back to you with the details. We would greatly love your feedback and try to incorporate in the next version of the tool. Screenshots from the tool to get started. The title might be confusing. So let’s straightway jump to the requirement here. Our client a role lookup on custom entity form and on click of the lookup, the user should be presented with a view with a view which shows the security role directly assigned to the user along with the security roles the user inherits from the team. Very simple requirement right? However can you achieve this using OOB view? Well unfortunately the answer is BIG NO. We went ahead with the design that when a user clicks the lookup we would call dynamically a fetchxml using the OOB custom view. Now the big task is creating the fetch xml of the custom view. After much deliberation, I finally came up with the below Fetch XML which serves exactly the purpose. So let’s see our protagonist in the play. I have highlighted the important part of the query. The first thing to notice here is the alias that I provided while fetching the roles from the systemuserroles table and the teamroles table. The next part is using the alias and constructing the filter condition with the alias as the entity name. userid is the GUID of the user whose security roles needs to be determined. Please note that this type of construct is actually possible from CRM 2013 and onwards. Although this works, unfortunately this construct is not supported through the UI. Small trick but it can consume days if not know.